Reactions to sensory stimuli often play a direct role in the behavior of individuals. Some individuals require a lot of sensory input in order for their bodies, and therefore behavior, to remain calm. Other individuals hardly require any at all. Either way, having multi-sensory input brought into an individual’s day can often help to maintain a level of emotional regulation and, therefore, can also help individuals more easily learn or achieve things. I give the definitions because it makes it easy to see how one relates to the other. Each person is unique. Some people require a lot of sensory stimuli to feel balanced and function optimally. Others do not. Yet others require a lot of input from one of the five senses over others. 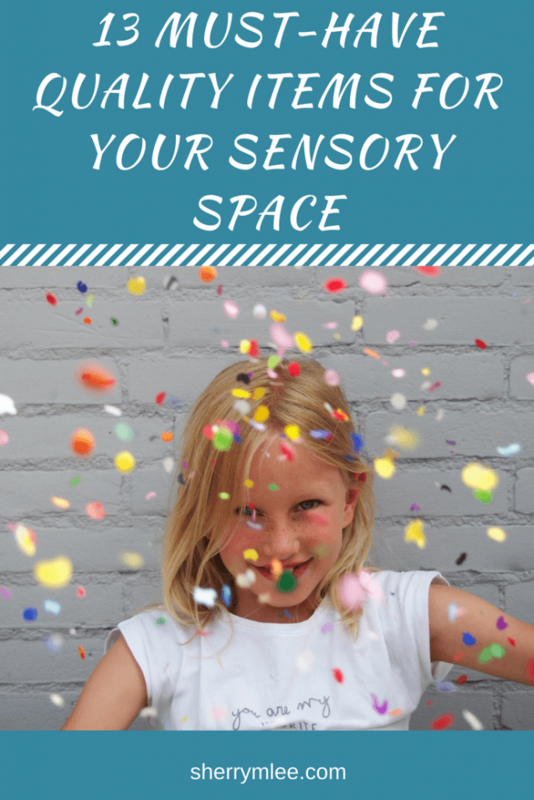 Regardless of where you or your child is on this spectrum, it is good to have some ideas for a sensory space to help one remain or get back to a calm state when needed. Like the calming effect of staring at a campfire or watching fish swim in a fish tank for adults, it is important to give our children methods to help them to relax themselves and keep them at or bring them back to a state of calmness. It definitely beats them having a meltdown, that’s for sure… especially if it could be avoided by the implementation of a sensory space! A sensory space doesn’t have to be large. It can be a corner or small section of a room. *Disclaimer: Some links in this post are affiliate links, meaning that I will receive a small commission on purchases made at no extra cost to you. Thank you for your support! 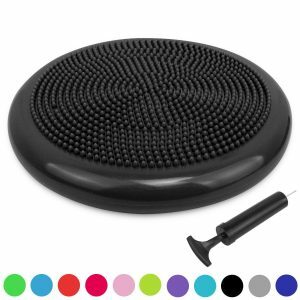 Below are 13 of my favorite items for a sensory space. As always, I only recommend items I am familiar with and have seen work well for individuals. 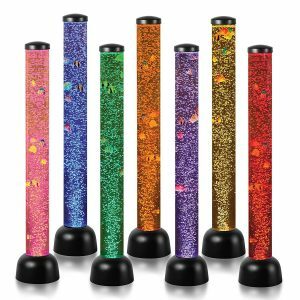 These bubble tube floor lamps with “fish” provide the effects of a fish tank without the hassle. Many will find it even more relaxing than a fish tank as the bubbles and colors can be incredibly calming. There is a soothing sound from the motor that has the effect of providing a white noise. Filling this with distilled water or water with minerals removed is necessary for it to function properly. Sensory socks provide a calming effect on many individuals. They can also be used to work on stretching and strength. These socks can be thrown in the wash. They do come in different sizes, so be sure to order the right size for the individual it is being purchased for. 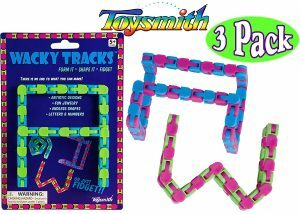 Need a great fidget for adults and kids alike? These wacky tracks can’t be beat! There is a slight clicking noise when maneuvered, but nothing that others around would find to be annoying or anything like that. Pin Art is always a hit in any sensory space! The pins have a calming sensation on the skin and great shapes can be made to show others. Squishies have a pleasant scent to them. They regain their shape somewhat slowly when squeezed. They can be super relaxing. 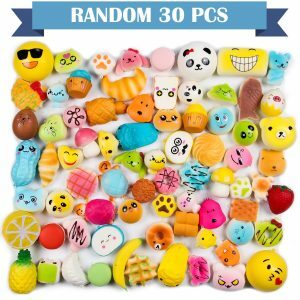 Squishies are made out of polyurethane foam. 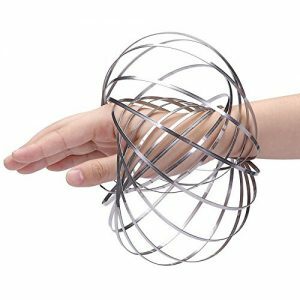 I wouldn’t recommend them for spaces where many hands will be touching them or for individuals who like to put things in their mouths, but they are great for those individuals who love the kinesthetic feel and scent of them. 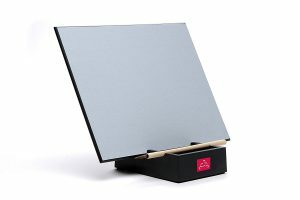 These Buddha boards are so incredibly calming! You simply fill the stand with water, dip the bamboo brush in it and “paint” away! The creation remains for a bit until eventually fading away, ready for another painting to take its place. This is great for any calming corner! Do you find your child is constantly chewing on his/her shirt sleeves, pencils, straws or other items? You may wish to try out some chewelry for him/her! Chewelry is worn as jewelry, but the pendant is safe to chew on and satisfies that sensory need in a socially acceptable manner for those who seek it. There are many styles of chewelry, so the use of it can extend well beyond the early years and even into adulthood for those who need it. Do you or a loved one struggle to sit still? If so, you may wish to try out a wobble cushion. 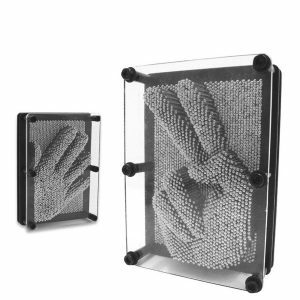 I have sat in meetings where these were brought out and all of the adults commented on how much easier it was to focus! 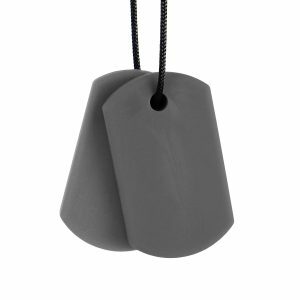 They also can work wonders for kids who need that extra bit of sensory available to them. Wobble cushions come in a variety of colors, so it is easy to match with a favorite color as well! Need the entire chair to move while requiring better posture for the individual? 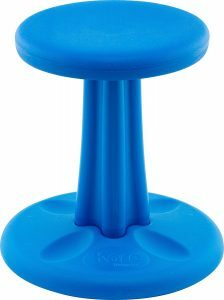 Try out these wobble chairs. They also come in a variety of colors. Be sure to order the size you need for you or your child as they do come in different sizes to best meet your needs. 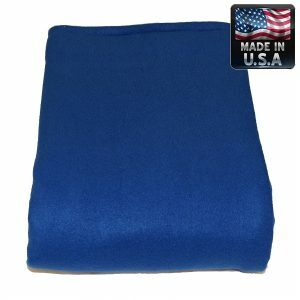 Many parents find these weighted lap pads make a world of difference for their children! 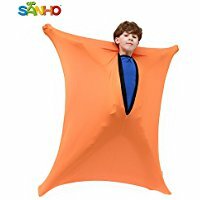 The extra weight combined with the softness make this just perfect for meeting the needs of many sensory-seeking children. Difficulty sleeping? 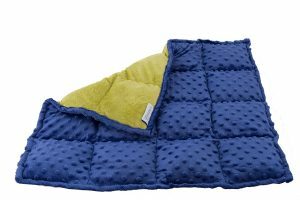 I have had parents of children with high sensory needs tell me these blankets make a huge, positive difference in their child’s sleep! I also know adults that sleep with these blankets. The extra weight can have that hugely calming effect. It is important not to get a blanket that is too heavy for you or your child. The recommended weight to get in the blanket is 10% of the individual’s body weight. The weight is evenly distributed in the blanket. Every single time I have taken my kids to Ikea, a stop at these chairs has been a must! They are made for small bodies, so are definitely best suited for young children up to maybe 6 or 7 years old. 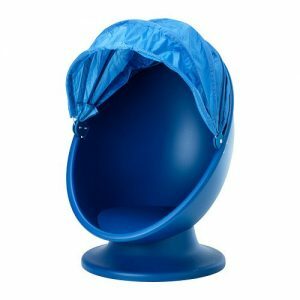 If you have a young child that loves to spin, check out this swivel chair from Ikea! These chairs are less than $100 at Ikea, so you may wish to purchase it there if you live in close proximity to one. 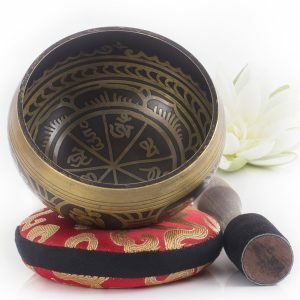 I was recently out shopping with a couple of my kids and they fell in love with the Tibetan singing bowl. There were a few adults in the store playing them as well. I have also seen singing bowls used in calming spaces. This does have a sound to it for sure and, depending on the person, it can be loud. Many find it relaxing, which is what it is intended for. It may not be the best choice for someone who is rambunctious or who would simply bang on it non-stop, however. This 14th item wasn’t originally included in this post, but a reader let me know how much they are loved by her and her children. I became intrigued to try them out as well! I purchased one just a few days ago and, between my kids and me, this flow ring has hardly had any time on the shelf. We love it! I did my best to include my absolute favorite sensory items that I’ve seen work for calming spaces. I would love to know what your favorites are. Please feel free to let me know in the comments below. I totally remember using some of these when I was a kid. Some other ones are newer and I havent heard of them before. I might have to pick some of these up for my little one! I’m glad I came across this post. I always wondered why sensory play was so important. Looks like I need to add some more items to our corner. As a former elementary teacher, I knew about a few of these but was excited to see some new options. Wonderful suggestions for those needing to meet their sensory needs! Thank you for checking them out, Sonja! This is a great list. My son is a sensory seeker and has used chewlry and it is amazing. Great list. I want the wobble seat and weighted blanket for myself. ALL of these listed were awesome! Our oldest is on the spectrum! He’s high functioning and has a genetic disorder but, we learned very early on that sensory based items are KEY to a productive and calm home for us! I bookmarked this, this is amazing. My 5 year old has SPD (Sensory Processing Disorder), I had heard of only, maybe, 4 of these to help him. Thank you so much!! You are welcome! Thank you for reading this. I hope you find some favorite sensory items for your son. I loved the pin art when I was a kid! These are great products for a sensory area. Thanks for sharing this with us. I have never heard of any of these items before, but they are very intriguing. I will have to look into them more. Wow these are great! Looking Into a few for my daughter!